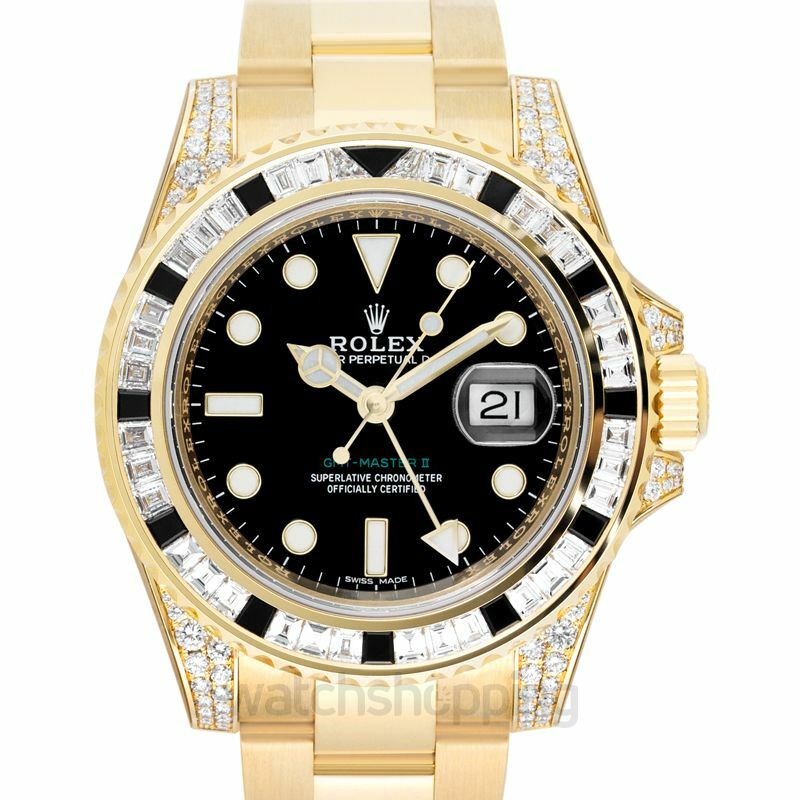 Rolex widened their GMT-Master II collection with 3 gem-set models, one of which is the 116758-SANR. Launched in 2006, this is an extremely valuable watch, considering its gem-packed design and high quality performance. It is made with 18ct yellow gold with sapphire stones uniquely set on the bezel and the bracelet. With around 112 diamonds and 12 black sapphires, the watch is the most luxurious piece you need to add to your watch collection.